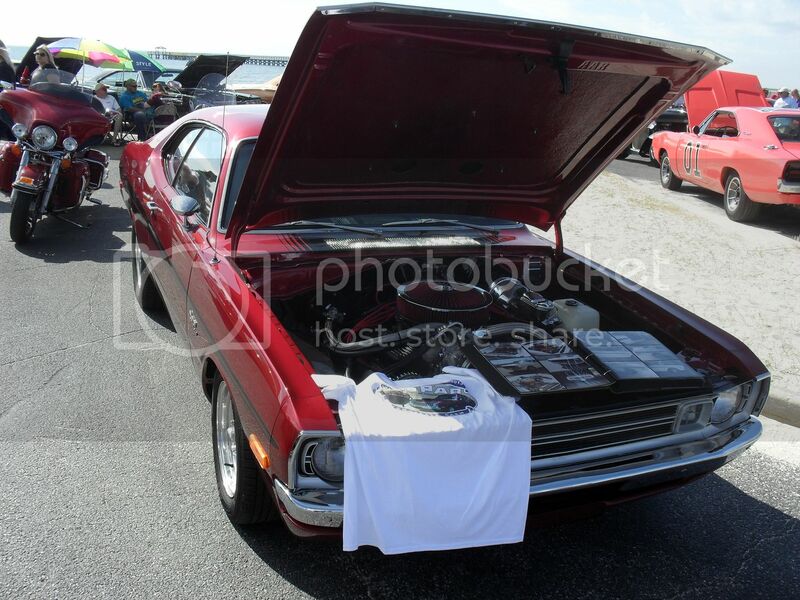 Each year the sponsors of Mopars At The Marina (part of Cruising the Coast) sells T-shirts with pictures of two cars from the previous years attendance. Guess whose car is going to be on the shirt for next year? Yep, my Demon! Guess that means I'll have to attend next year again and buy a bunch of shirts. Cool. Much deserved I am sure. 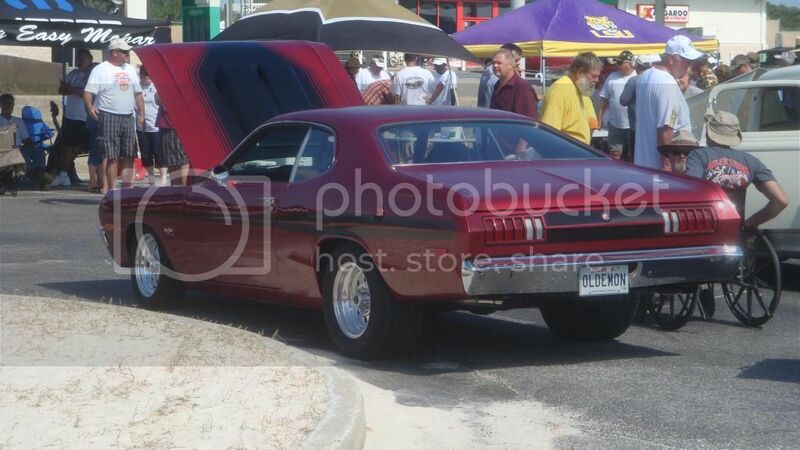 cool do you happen to have any photos to share of your awesome demon from the show? Here's a couple of shots of it there. your demon is beautiful! i have to say its probably the nicest 72 i have seen. awesome color and perfect stance. i have a question. how do you feel about the handling of the car after moving the springs in? is there a noticeable difference? Thanks for the compliments on the Demon. I don't notice a difference in handling moving the springs in. And the hood is fiberglass, from AAR. Great honor and a beautiful car.